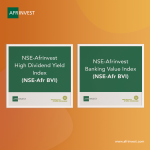 London, U.K., October 30, 2017 – Afrinvest (West Africa) Limited launched the 2017 Edition of the annual Banking Sector Report at the London Stock Exchange (LSE), heralding the call that Nigeria has reopened for business. 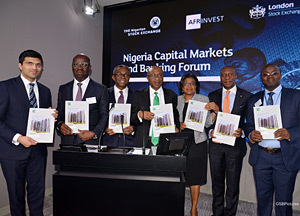 The launch of the report was the anchor event of the 4th Nigeria Capital Markets and Banking Forum hosted by the LSE in collaboration with the Nigerian Stock Exchange (NSE) and in partnership with Afrinvest. 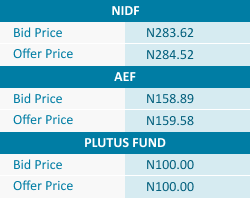 According to Group Managing Director, Afrinvest, Ike Chioke this is the right time for foreign investors to re-engage with the Nigerian economy. He elucidated the stable macroeconomic environment that now exists in Nigeria, and the extensive reforms in diverse industries that continue to create a favourable environment for long-term investments. Other notable dignitaries at the event were His Excellency Godwin Obaseki, Governor, Edo State; Dr Kayode Fayemi, Honourable Minister, Mines and Steel Development; Honourable Priti Patel, U. K. Secretary of State, International Development; Oscar Onyema, Chief Executive Officer, NSE; Patience Oniha, Director General, Debt Management Office; Haruna Jalo-Waziri, Executive Director, Capital Markets, NSE, among others. 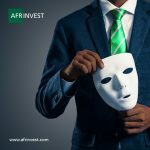 Afrinvest (West Africa) Limited is a leading independent investment banking firm with a focus on West Africa, and active in four principal areas: investment banking, securities trading, asset management, and investment research. 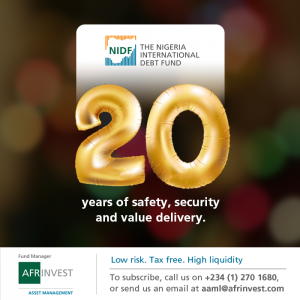 Afrinvest is both a leading provider of research content on the Nigerian market and a leading adviser to blue-chip companies across West Africa on Mergers & Acquisitions and international capital market transactions.